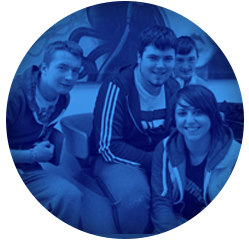 If you think that The Way might be the place for you, then becoming a Member of our Youth Zone is incredibly good value. Our membership fee is £5, paid once per year and then only 50p every time you come after that! The Zone is for all backgrounds, for all abilities, for all of the community. With over 20 activities every session, there will also be regular theme party nights, roller discos, special events and tournaments on offer. Senior Club is usually 4-10pm on Monday, Wednesday, Friday & Saturday and 4-9pm on Sunday. There are family and disability sessions that take place every Sunday from 12pm to 3pm too.